Not to be confused with “Hock a Loogie,” which can sometimes be disgustingly satisfying, or “Hamhock,” which can be delicious if prepared correctly. Nay, I speak of the verb, “to hock,” which means “to pawn or sell” my wares, or goods, preferably for a profit. That’s right, folks, I’m a-sellin’ you stuff. So I’m trying to figure out how to make money from home…Bug pays me for all his grilled cheese sandwiches in change (or karate chops, same diff), Bean has a running tab to be collected on at a later date, and I’m pretty sure those ads on Facebook telling me I can earn a million bucks from home are dirty, stinkin’ liars. Being a stay-at-home mom, not a lot of dough it makes. I do, however, have an obscene amount of colored Sharpies, lots of blank paper, and enough college art credits under my belt to say I “concentrated in art” (as opposed to “minored in art”) without stretching the truth. Etsy is a genius – or, rather, whoever started Etsy is. 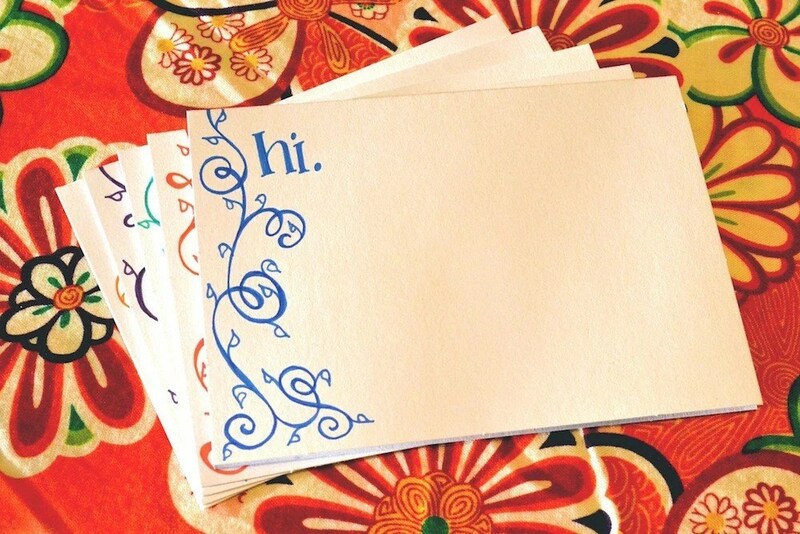 You can clickety-click on the (adorable) set of (hand-drawn) notecards featured above to take you to my little Etsy shop and consequently pay me some bucks. If people pay me for it, then I can say I’m an artist. Otherwise, I’m still pretty much just coloring.